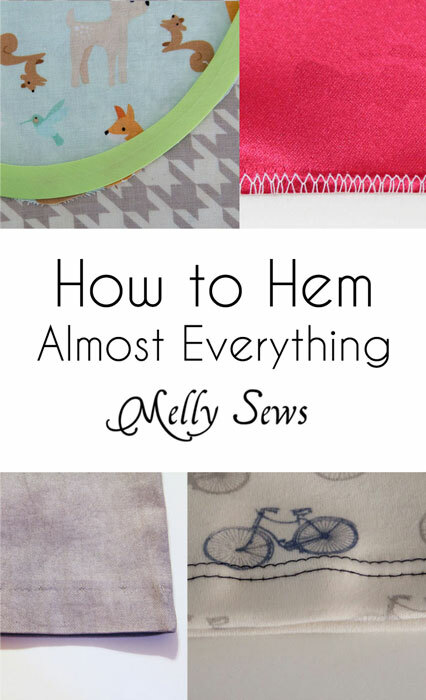 Hey y’all – today I’ve got a post for how to hem just about anything, using different techniques depending on your fabric and what you’re hemming. 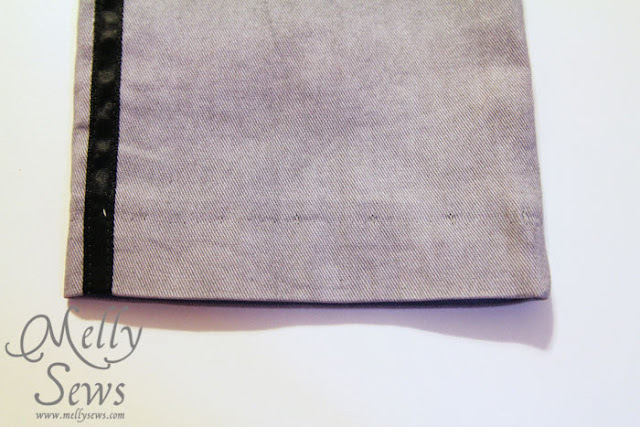 The first (and usually easiest) method of hemming that we usually learn is the double fold hem. This is just like it sounds – you fold the raw edge to the wrong side, then fold it again, so that the raw edge is encased. 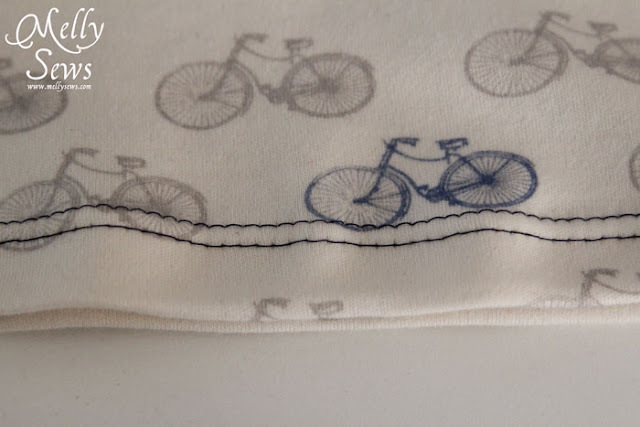 Then you stitch close to the folded edge. Advantages: Usually fast and easy to do, works on most fabrics, very durable. Next, we have the Blind Hem. This can be done by machine (see this post for how to blind hem by machine), or by hand (see this post for how to blind hem by hand). Disadvantages: Not as durable (snag a toe in your hem and you can pull the whole thing out), more time consuming than other hem methods. 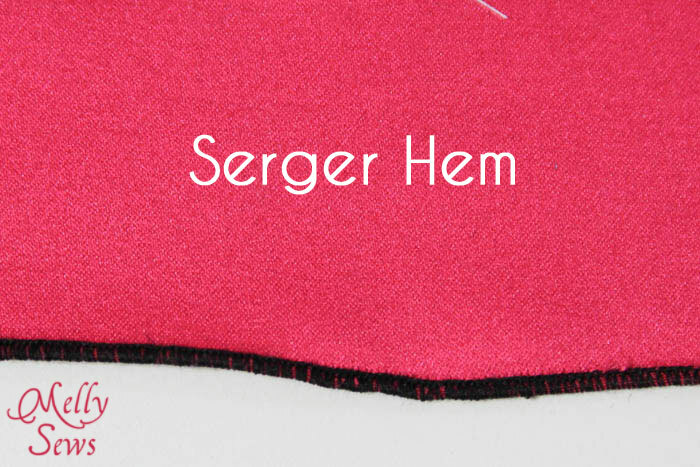 In a rolled hem, you are using your sewing machine or serger to wrap thread around the raw edge of the fabric. 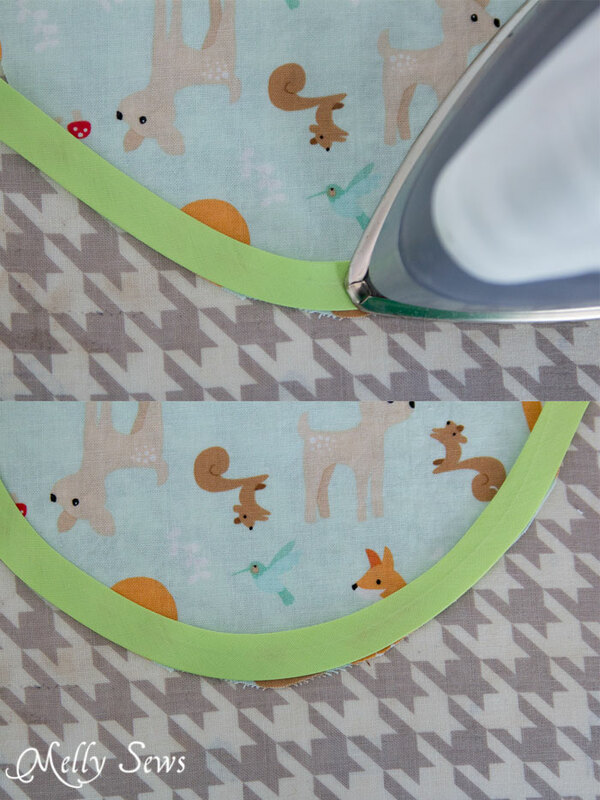 To see how to use different machines to do rolled hems, see this post. Disadvantages: does not work with very fray prone fabric or loosely woven fabric (the hem can pull right off), visible, setup can be complicated, depending on your machine, not suitable for knits unless you want a lettuce edge, as this hem is extremely hard to do without stretching a knit. A decorative hem is a variation of a rolled hem – it uses a decorative stitch on your machine to create a scalloped or shaped edge. 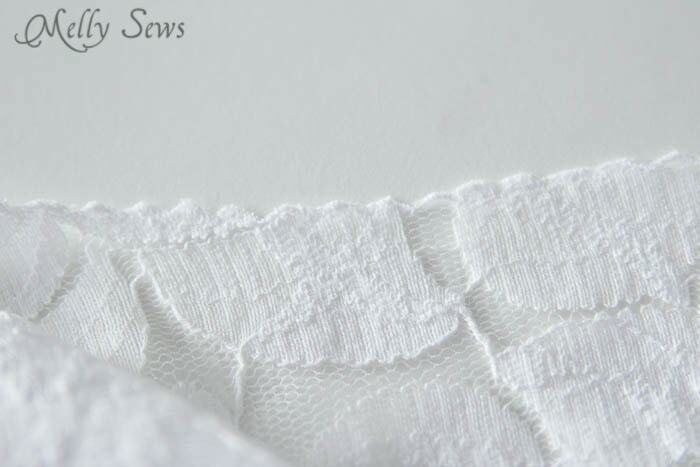 See this post to see one kind of decorative hem on lace (you’ll need to scroll about halfway down the post). When to use: on light to medium weight formal fabrics where a decorative edge is desired. Twin needle hems are useful for knits, as they have built in stretch. However, do them wrong and you can be frustrated with unraveling hems. To find out the right way to do twin needle hems, see this post. This type of hem takes advantage of single fold bias tape. It can be finished either by topstitching or by blind hemming. 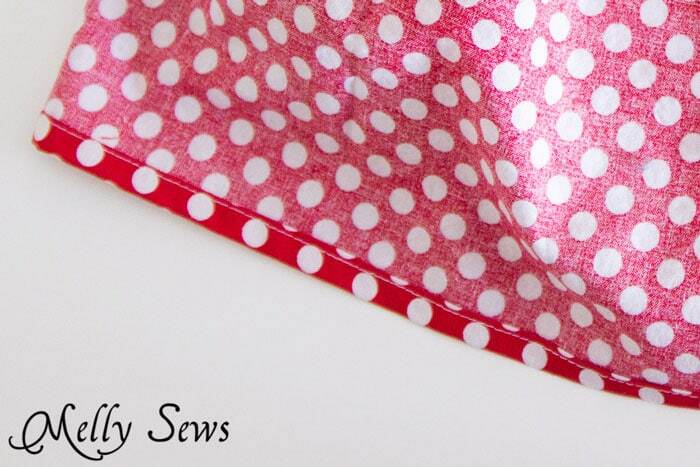 See how to make a bias tape hem in this post. When to use: on curved hems when a double fold or rolled hem won’t work, when you have very little fabric to work with for hemming. Thanking you for useful ideas . Thanks a lot for this, Melly! I think I’ll finally open the pack of twin needles I bought a while ago and experiment .. I specialize in flamenco dance costumes and my blog post on the same topic is focussed on ways to finish ruffles so if you like have a look (http://www.flamencodressmaking.com/2014/08/how-to-finish-ruffles-flamenco-dance-costume/) there are a couple you might have fun playing with..